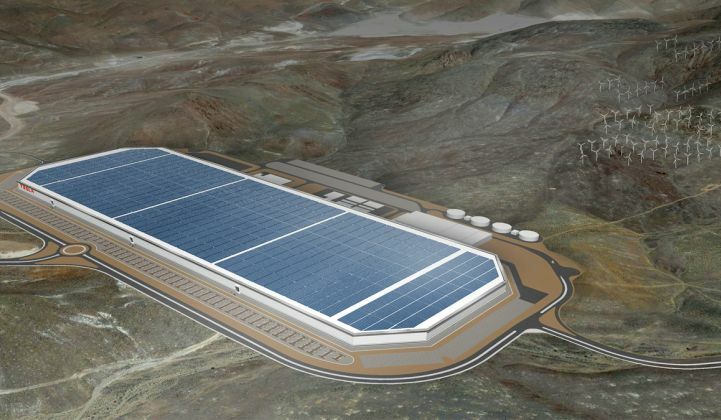 As Tesla deals with Gigafactory bottlenecks and focuses on high-profile projects, downstream developers and installers feel the pinch. Tight supply of Tesla's batteries is rippling out through the storage industry. When Tesla unveiled its stationary storage products for homeowners and utilities in 2015, it immediately sparked new demand for batteries. But in the two years since, the company's track record for delivery has been mixed. While pursuing high-profile projects like the 100-megawatt battery for South Australia's grid and a microgrid for a hospital in hurricane-damaged Puerto Rico, Tesla has struggled to maintain steady and timely deliveries to behind-the-meter installers who count on the sought-after Powerwall and Powerpack batteries. In one case, the company ended a potentially valuable utility partnership. In another, one large-scale home storage project stalled because Tesla didn't pick up the phone, the homebuilder said, prompting him to look elsewhere for batteries. Tesla launched with big promises. So when delays occur, people take notice. And the company can take a financial hit. It's no secret that Tesla has a battery backlog problem. The company announced in its Q3 earnings report that Model 3 production ramp-up will be delayed by about three months due to a bottleneck at the Gigafactory's battery module assembly line. Separately, Tesla reportedly opted for Samsung battery cells to supply its record-breaking South Australia storage product, rather than using its in-house Panasonic supply. Distributed storage developers and installers are feeling the crunch, too. Their business is tiny compared to Tesla's automobile revenue. But delays in the shipment of Tesla batteries mean a lot to the professionals on the front lines of this young industry. Tesla isn't the only manufacturer experiencing supply constraints. Outsized demand for its products, however, mean delays can have an outsized impact on the industry. Battery storage sales cycles are tight. Contracts often rest on securing grants like California's Self-Generation Incentive Program, which come with deadlines for installation. Developers and installers interviewed for this story reported Tesla delivering batteries months behind schedule. One developer described Tesla's sales contact as "squirrelly" when it came to setting a firm delivery date. After it became clear that the Powerpacks wouldn't come on the originally agreed timeline, the buyer had to negotiate just to get a three-month delay, instead of a four- or five-month delay. The developer only had two and a half months to install the batteries and finalize interconnection before a public grant expired, which would have upended the economics of the project. "We had a game plan that was set for a certain date, and it was pushed and pushed and pushed," said the developer, who requested not to be named. This uncertainty can compound routine delays in the construction process, increasing financial risk. "How much can I argue about my commercial deal when they’re putting [batteries] in a hospital in Puerto Rico?" the buyer mused. "On a psychic or karmic level, I’m totally aligned with them, but on an economic level it definitely impacted me." A behind-the-meter installer who had encountered multi-week and multi-site Tesla delivery delays said this imposes a tangible cost. "The longer it takes me to develop a project, the less money I make," he said. Unpredictable timelines make it hard for installers to standardize and optimize their operations. Keeping track of the delayed project and battery deliveries ties up management resources. If an install pauses for a few weeks, there's no guarantee the same team will be available when the batteries arrive, because they usually move on to other work. The contractor could bring in a new team, or delay the installation until the original team becomes available. The former cuts into project efficiency; the latter is often unacceptable in an industry where deals hinge on tight timelines. "It’s tough to quantify, but it’s real," the installer said. Storage contracts typically build in contingencies for delays due to product availability or regulatory approval, so developers or installers aren't on the hook, said GTM Research Storage Director Ravi Manghani. But changing the battery system mid-project still imposes a cost. "Any slowing down of the sales cycle impacts the overall industry, because it gets a bad rap," Manghani said. "It’s hard enough to find customers this early in the adoption cycle, and any delays will just slow the market down further." Tesla's battery customers range in size, from big buyers like Southern California Edison and Kauai Island Utility Cooperative, to large commercial providers like Stem and Advanced Microgrid Solutions, down to the local and regional developers. A deal with at least one prominent utility dissolved. Austin Energy secured a hefty $4.3 million grant from the Department of Energy to deploy distributed solar and storage across the city of Austin, Texas. The SHINES program includes storage at residential, commercial and grid-scale sites, and originally featured Tesla as a project partner. "SHINES is about increasing distributed solar generation onto the grid that can be dispatched at any time of day or night to meet customer needs, while we’re also ensuring reliability at the lowest cost possible," said Karl Popham, who leads Austin Energy's emerging technologies team. Tesla isn't on the roster anymore. Instead, Austin Energy is deploying batteries with partners like Younicos, Samsung SDI and LG Chem. A Tesla spokesperson declined to comment on this change in participation. Popham also declined to comment on why Tesla is no longer part of the project, but listed three reasons that company partnerships have ended in the past. The reasons include: if an emerging technology isn't ready in time, if a company withdraws due to contractual terms or other business reasons, or if the product cannot demonstrate compliance with open standards like SunSpec and MESA. "That’s what makes it repeatable," Popham said of the open standards. "We don’t want to pick winners and losers upfront for these early-adopter type programs." The Austin project is small compared to Tesla's 80-megawatt-hour Aliso Canyon project for Southern California Edison or 48 megawatt-hours for National Grid on Nantucket. Even with diminutive revenue, though, the project is groundbreaking in its use of distributed solar and batteries across a city. Elsewhere, Tesla allegedly forfeited a substantial deal by not picking up the phone. In October, residential storage competitor Sonnen announced a partnership with Arizona homebuilder Mandalay Homes to supply batteries for a 2,900-home development. This community will be the largest fleet of solar- and battery-equipped homes in the U.S. It will feature three times more grid-tied installations than the entire U.S. residential storage market in 2016. Before Mandalay's leadership had heard of Sonnen, they contacted Tesla to describe the project and explore using the Powerwall as the storage technology. "I’m still waiting to hear -- that was two years ago," Mandalay CEO Dave Everson said in an October interview with GTM. "I don’t think they were quite ready for this conversation." Instead, a colleague saw Sonnen SVP Blake Richetta give a talk at the TecHome Builder Summit, shortly after Richetta left his sales job at Tesla. They connected after the talk and started a brainstorm session that culminated in the 2,900-home project. Tesla declined to comment publicly on this account of the project's origins; the company's policy has been to follow up on all its leads. The Mandalay project aims to prove out the economics of distributed, residential storage as an aggregated grid resource. Few have attempted this at such a scale, with the exception of Swell Energy, which has a contract with SCE to put batteries in 3,000 homes. Mandalay Homes says it has a profitable design even without a grid contract in hand, so it's building first and looking to monetize the virtual power plant later. It's too early to tell if this vision will succeed, but it won't be happening with Powerwalls. Tesla confirmed that it is working to ramp up Powerwall production to match global demand, and that new orders will be fulfilled in the first quarter of 2018. The company noted that it provides estimated delivery timelines to customers at the time of order, and that it updated customers and certified installers after sending hundreds of Powerwall systems to the relief effort in Puerto Rico. Join GTM Dec. 12-13 for a deep dive into the budding domestic energy storage market at the U.S. Energy Storage Summit 2017. Utilities, financiers, regulators, technology innovators, and storage practitioners will all come together for two full days of data-intensive presentations, analyst-led panel sessions with industry leaders, and extensive, high-level networking.